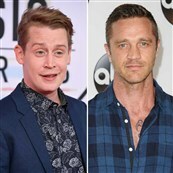 Macaulay Culkin and Devon Sawa were two of the biggest teen beat heartthrobs of the 1990s. Generation X got Johnny Depp, River Phoenix, and Then Keanu—who is pretty much the same as Now Keanu, to be fair. But for those of us slightly too young for Gen X’s heartthrobs, missing out on 21 Jump Street, theatrical-run Stand By Me and Bill & Ted, and not quite grasping the high-school social intricacies of Beverly Hills 90210, there was Jessie Spano’s speed addiction, Macaulay Culkin and his dewy eyes bravely dying of bees so his friend could get her ring back, and Devon Sawa descending the stairs in Casper to kickstart us into puberty. 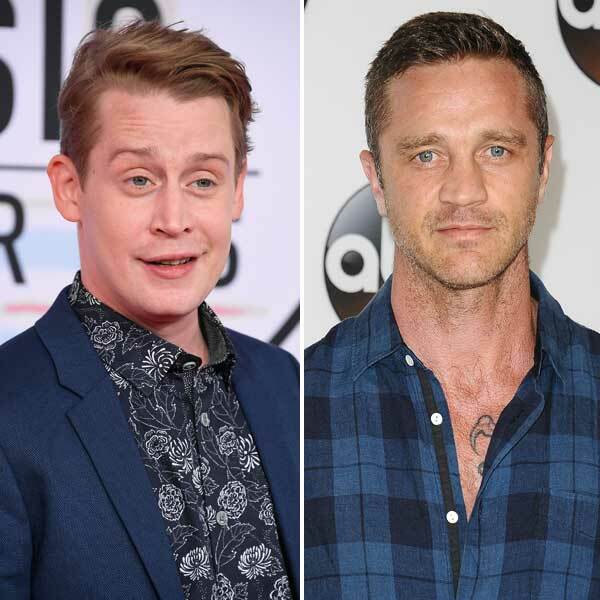 For Old Millennials, Devon Sawa and Macaulay Culkin are the pasty boy-crushes that unite us. How do you know if you’re an Old Millennial? Do you remember Real Casper on the stairs? You’re an Old Millennial. In the age of social media, Culkin and Sawa have become curious specimens. Neither is really famous for the thing they did as kids—though Sawa still acts, it’s not in the same arena he enjoyed as a child, and Culkin has started a satirical site lampooning the celebrity lifestyle trend (some of the jokes are solid). But both are popular on Twitter, mostly as objects of nostalgia. Last year, they started a “feud”—which honestly seemed like Culkin using Sawa for laughs and Sawa being like ??? in return—and now Vulture has sat them down to clear the air. What results is an almost staggeringly honest assessment of their roles as Nostalgia Objects. First, they both sound pretty content with things as they are. Sawa, for instance, doesn’t sound bummed that his childhood stardom didn’t parlay into a mega-career as an adult the way, say, Leonardo DiCaprio’s did. And Culkin hasn’t even been this visible until recently, and Bunny Ears seems ever less like a lark (see also: his pizza-themed cover band), and more like a strong effort to build something real. He talks about how he realized he can do comedy, that he can be funny, and finding confidence in that. In comparison, Sawa admits comedy is not for him, and he couldn’t wing it when co-stars like Jason Schwartzman would go off-script. They also talk about how they got into acting. They both say it was because they were rambunctious kids who needed an outlet. EVERY child actor says this. For some of them it’s probably even true, but just once I would like a former child star to admit that they were just a cute and precocious kid and someone suggested to their parents they could probably make some money in commercials. Still, they both come across as really well-adjusted. At one point, Sawa mentions Brad Renfro, a member of their cohort who didn’t make it. The entertainment industry is really terrible for children, and frankly, we probably shouldn’t use real kids in anything ever, but this is a nice reminder that some of them turn out to be reasonably grounded adults. The best, though, is toward the end, when camera phones come up, and Sawa says, “When I was in the clubs with my generation — *NSYNC, Backstreet Boys, all them — if there were camera phones in those clubs, with all the sh-t that was going down—” TELL US ABOUT THE SH-T, DEVON. DON’T JUST GLOSS OVER IT. Of course, there is no follow-up because the world is dark and terrible. But now we know that Devon Sawa witnessed some boy-band sh-t going down in the club, and I need a whole interview just about that. Culkin even had Sawa on his podcast, and somehow this is not the sole topic of conversation. Devon Sawa’s club gossip is now the only thing I care about. I’m really glad these two survived the crucible of childhood fame and have found adult careers that seem fulfilling to them, and can look at their life-long membership in the Nostalgia Object Hall of Fame with clear-eyed detachment. But all I really want to know is What Devon Saw. Is Macaulay Culkin's 'Home Alone' Google ad leading up to something?